Let’s pretend you’re not wild about doing the Polar Bear Plunge at the Olympic Venue and you’re looking for a good excuse not to jump into a cold lake. Here’s the perfect alibi! Take one of the many First Day Hikes on New Year’s Day being offered in Georgia. Face it. You want 2019 to be WAY more epic than the last couple of years, right? Any of the First Day Hikes on New Year’s Day 2019 will head you in the right direction, no matter where you go. According to Georgia State Park rangers, winter’s landscape offers hikers the chance to see farther through the woods. Unique tree shapes, moss-covered boulders, small streams and wildlife are unobstructed by summer’s foliage. Ranger-led hikes on New Year’s Day are listed HERE and even include a daring Black Bear Plunge into Fort Mountain State Park’s lake. 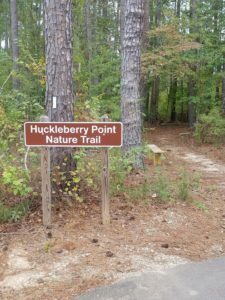 Don Carter State Park, on the upper edges of Lake Lanier along the Chattahoochee River, has new trails and new friends for you to visit on Saturday, January 1, 2019 from 10 AM until noon. Soak in amazing views of Lake Lanier on the Dog Creek Outer loop trail. Now that the leaves are gone, the most glorious vistas have arrived. The hike is only about 1.5 miles — less distance than you’d walk over hot coals or broken glass for a pair of Christian Louboutin shoes or an iPhone at half-price. The best part? At the end of the trail you’ll meet up for (ready?) s’mores, hot chocolate and a campfire at Shelter 4! Register in advance by calling 678-450-7726. Parking is only five bucks.